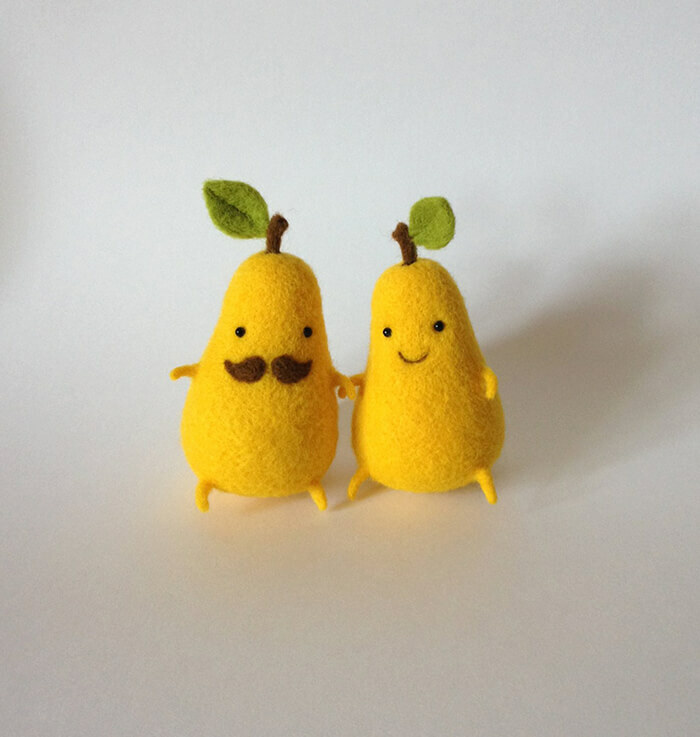 Needle felted wool sculptures are quite popular these days, especially felted animals. 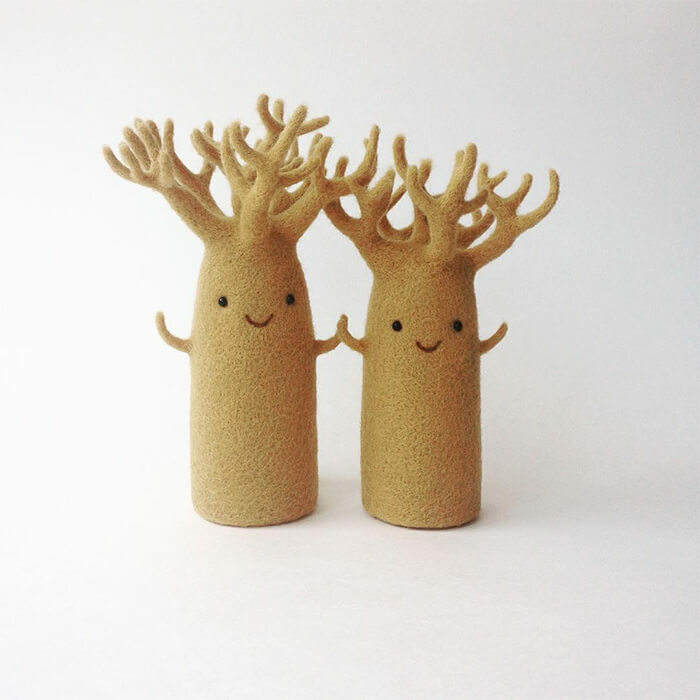 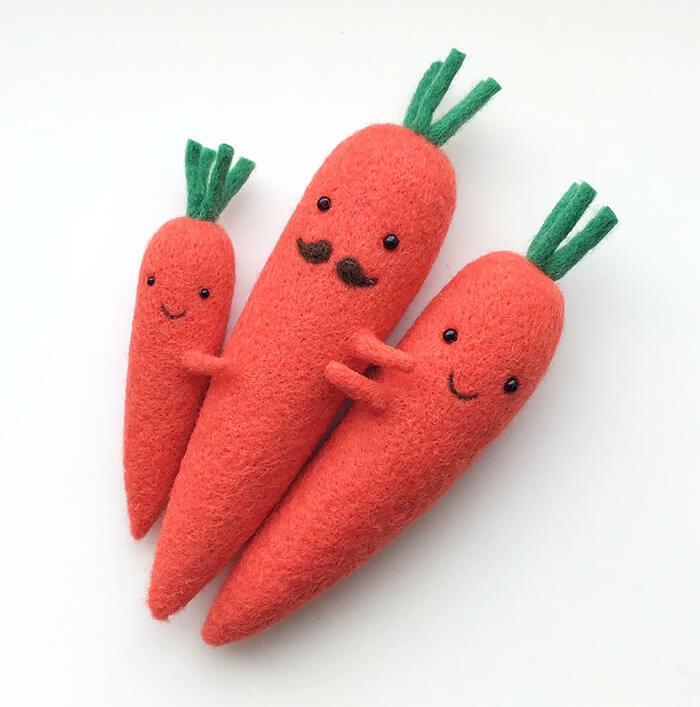 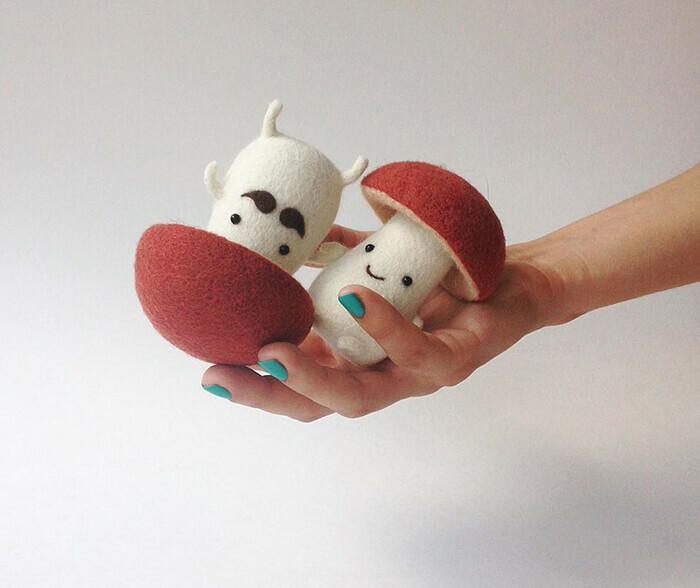 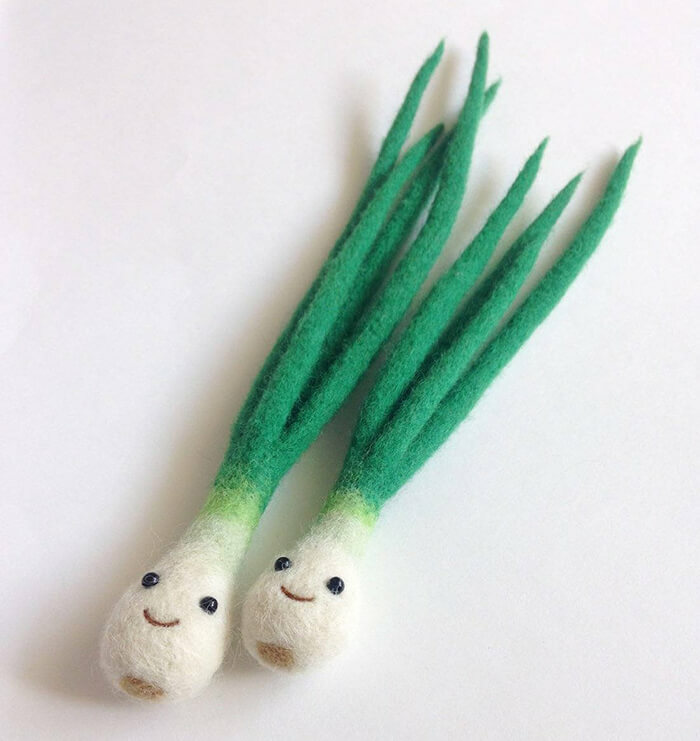 But in stead of needling some cute animals, Ukraine-based designer Hanna Dovhan focus on our daily vegetable and food and created some adorable mushroom pair, clutched baguettes an pear couple. 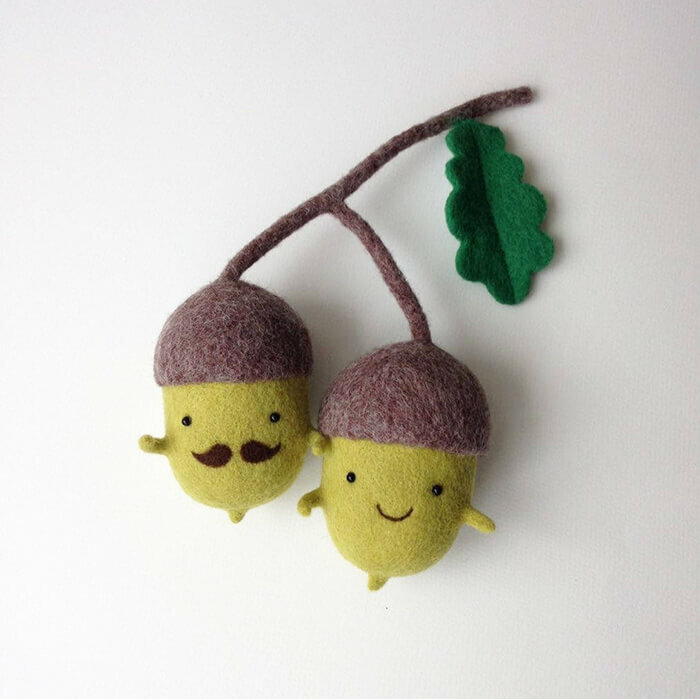 The works are each decorated with a tiny smiling face, and sometimes even paired with a micro mustache. 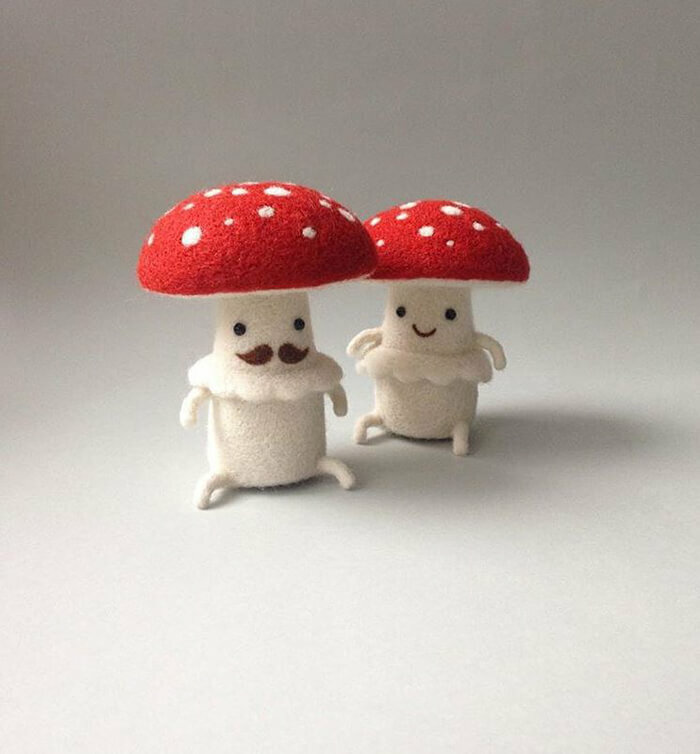 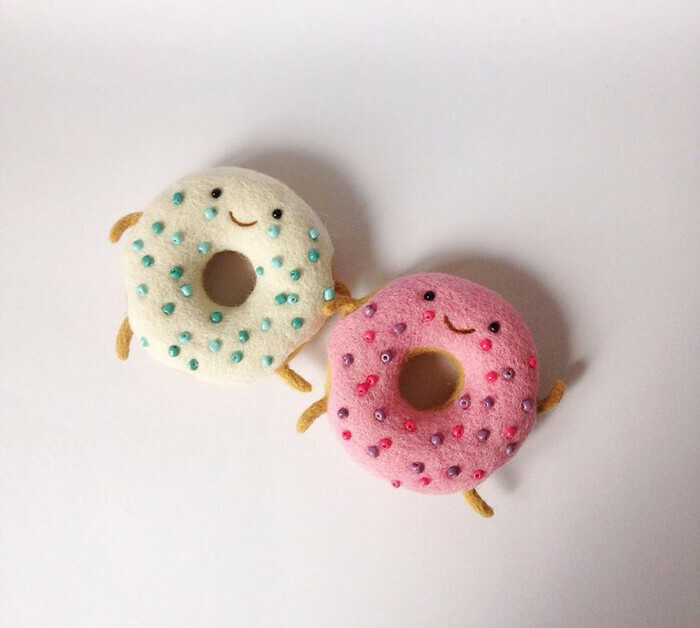 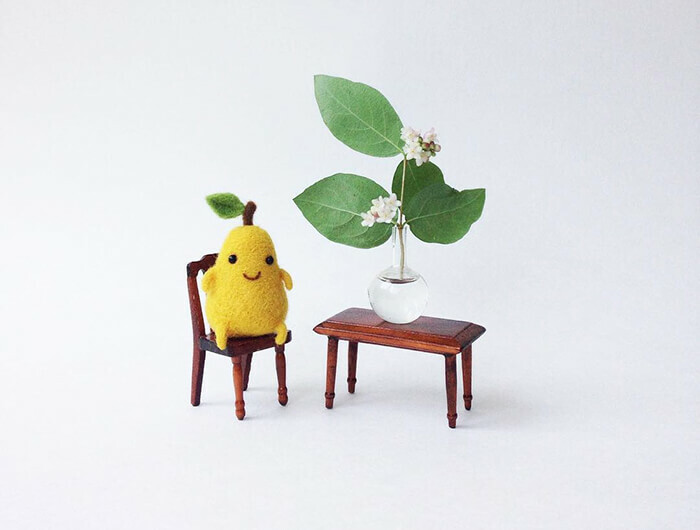 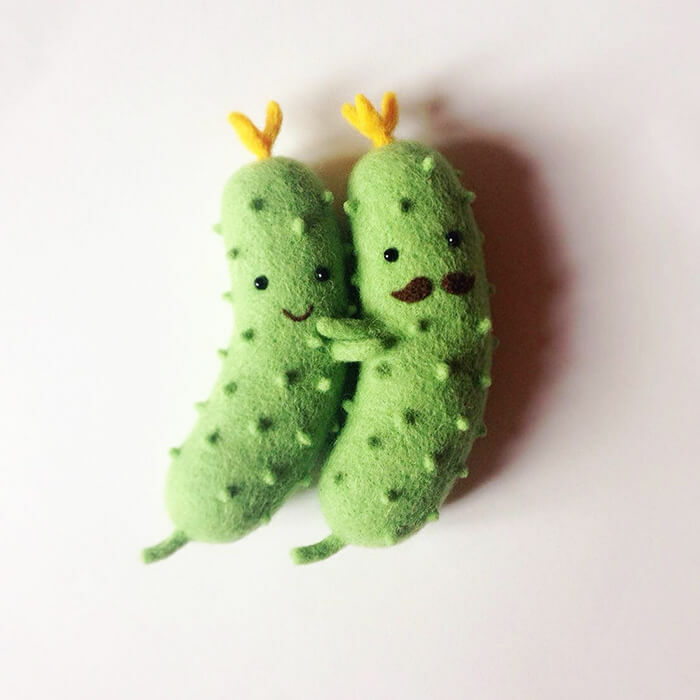 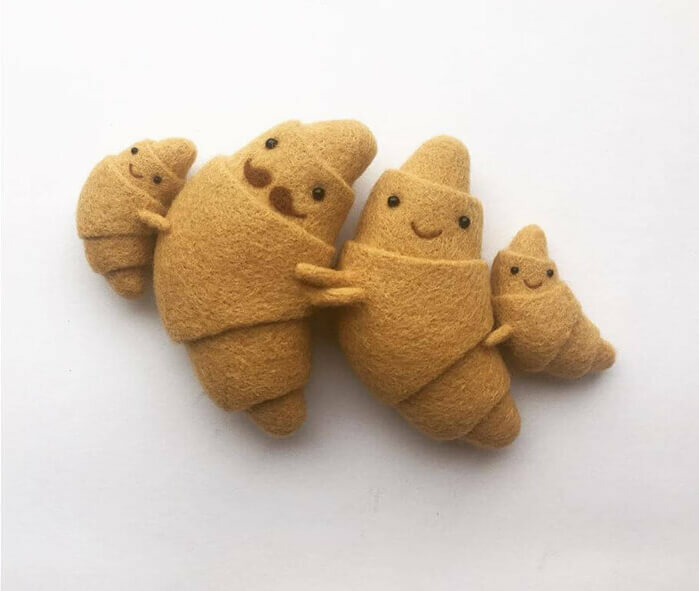 Of course, Hanna also created felted animals like deer, whale, tiger and etc., You can buy some of Dovhan’s creatures on her Etsy shop Woolsculpture or simply follow her Instagram’s page to see more cuddly creatures.